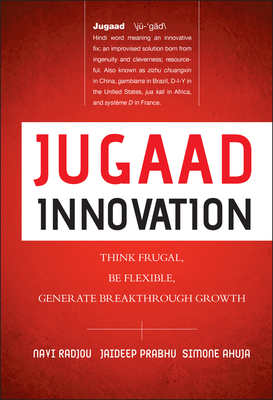 "Jugaad Innovation is the most comprehensive book yet to appear on the subject of frugal innovation]." Navi Radjou is an independent innovation and leadership consultant based in Palo Alto, California, and a fellow at Judge Business School, University of Cambridge. Jaideep Prabhu is Jawaharlal Nehru professor of Indian business and enterprise and director of the Centre for India & Global Business at Judge Business School, University of Cambridge. Simone Ahuja is the founder of Blood Orange, a marketing and strategy consultancy with content production capabilities headquartered in Minneapolis and Mumbai.